In our last article, we discussed the process of building your own home. We covered most of the pre-build project tasks including making a budget, determining a timeframe, finding a location for your home, features and layout you’d like for your home. If you didn’t see the last article, please go over to this link to read it, then come back here for the continuation! Before hiring anyone, do this first. Developing an architectural plan begins with you stating your goals, as mentioned in the last article. Those goals include knowing the style home you’d like to have and any accompanying special features. Having an idea of a floor plan or layout that would be a best fit for you and your family are a good place to start. When developing your architectural plan, prior to hiring an architect, make a list of things that make this home unique to you. Start big—plans can always be scaled back from where you begin depending on your budget, timeframe and other conditions such as zoning, acreage and other final deciding factors. – Kitchen layout – Island, peninsula, wet bar, gas or electric stove, counter space, pantry, etc. Also make include “what if” scenarios just in case something isn’t available or isn’t possible within the ramifications of your budget or other deciding factor. For example, if you can’t afford your first choice of marble floors throughout the home, what would be your second choice? Use the internet and books to pinpoint design choices and other things you like. Pinterest, Houzz, Home & Gardens magazine, and Architectural Digest are great places to sort through different home ideas—interior and exterior. You must also consider some things that may not come to mind, such as architectural style that will be used throughout the home for things like ceiling height, hallways, door widths, window preferences, lighting, roofing design, roofing material, exterior siding/brick/etc. Hiring the right team to get the job done the way you envision is the most crucial of all the elements of building a custom home. 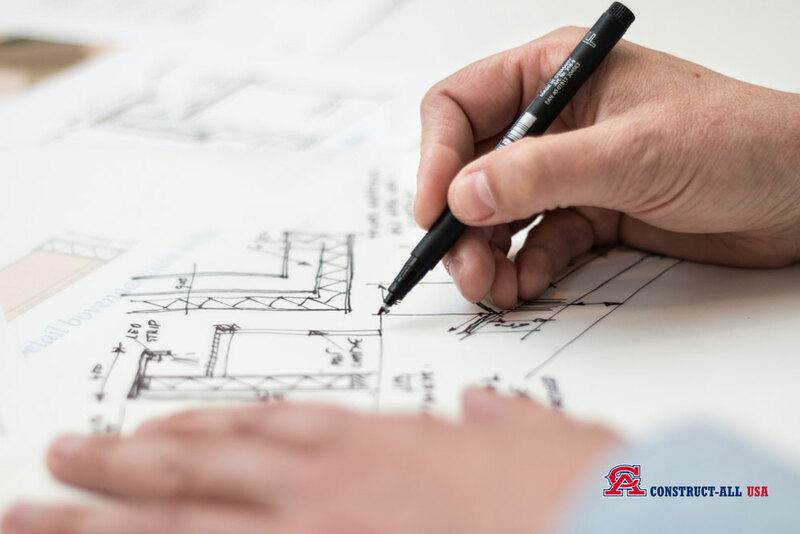 Now that you’ve developed your list of wants and needs along with an architectural plan of sorts, it’s time to find the right architect. Architects will do more than just draw up a plan, they will help make your vision a reality. They can direct you on what’s actually possible and what other options may be available in the instance that something isn’t. Work closely with them to see to it that everything is being put into place as you desire. 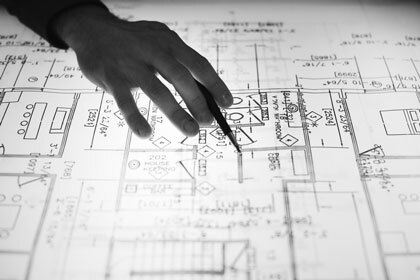 There are several great ways to go about finding the perfect fit for your architect. Ask friends or family who have built a home. You can also look up architects on homes that you’ve seen that you like by checking with your local building department. They have records through your address’s permit history. Another great source for finding local architects is searching through members of the AIA (American Institute of Architects). 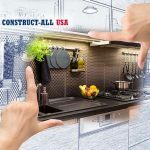 You can always contact the custom home builders here at Construct-All USA. 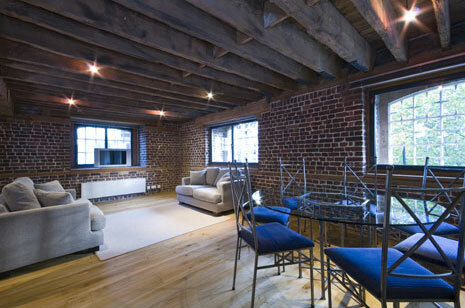 We have great recommendations for architects we have worked with in our area! Up front, find out how they charge. Architects usually charge based on a percentage of final project. They may also charge by the hour for initial planning sessions. Know their signature style to make sure your idea and the architect’s past work are going to mesh well. If you can find an architect who uses 3-d rendering for their plans, you can really get a visual on how your home will look. We hope this helps get a jump start on phase 2 of your custom home-building project. Let us know if we can provide any additional help. Remember that having a professional who has done this before in your court is a huge plus!